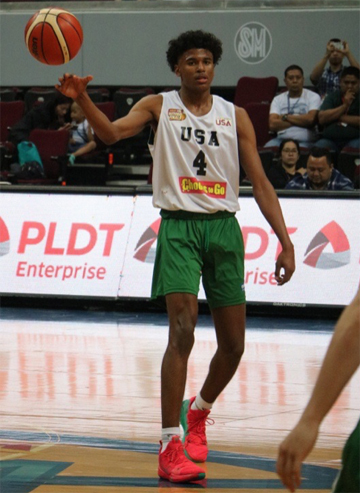 Jalen Green plays for the FilAm Sports USA during the NBTC Nationals Seeding Round at the Mall of Asia Arena recently. Presented by SM, the NBTC National Finals will have various international and local teams playing against each other from March 18 to 24. Well-known junior basketball players like Green and Jeron Artest, the son of former NBA star Metta World Peace, will play for their respective teams during the tournament. For more details and game updates, follow @mallofasiaarena on FB, Twitter, or Instagram.